Raw Milk… it’s not all the same! I read a very amazing article today on raw milk. I’m copying it here and will link to the site at the end of the article. Paraphrasing just won’t do it justice! 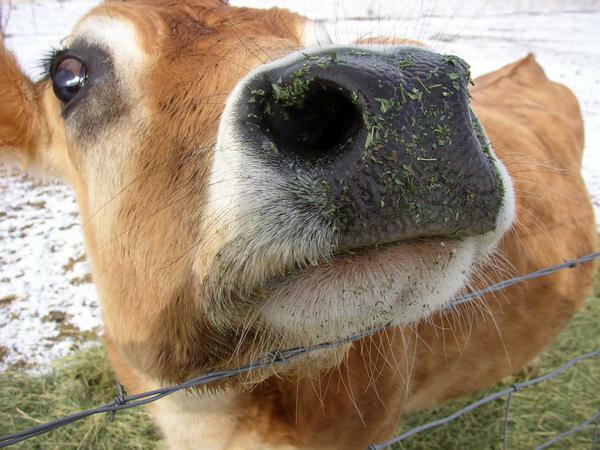 I am happy however, after reading the article… to announce – I HAVE JERSEY COWS!!! “Conventional wisdom states that drinking milk causes an increase in phlegm. Scientists have generally dismissed the notion, though, since experiments do not seem to bear it out. In one study, researchers noted that even people who were inoculated with the common cold virus did not show any increase in symptoms when they drank milk. But a new report suggests that those earlier studies suffered from a critical flaw: not all milk is the same. Certain breeds of cows produce milk containing a protein called beta-CM-7. This protein can stimulate mucus glands in both your digestive- and respiratory tracts. Milk containing the beta-CM-7 protein could therefore very well stimulate phlegm — particularly in people who suffer from chronic lung conditions. “First of all, please understand that I do not recommend drinking pasteurized milk of any kind – ever. Because once milk has been pasteurized it’s more or less “dead,” and offers little in terms of real nutritional value to anyone, whether you show signs of intolerance to the milk or not. Valuable enzymes are destroyed, vitamins (such as A, C, B6 and B12) are diminished, fragile milk proteins are radically transformed from health nurturing to unnatural amino acid configurations that can actually worsen your health. Finally the eradication of beneficial bacteria through the pasteurization process actually ends up promoting pathogens. Raw milk is generally not associated with the health problems linked to pasteurized milk, and even people who have been allergic to pasteurized milk for many years can typically tolerate and even thrive on raw milk. This is an issue you may never have heard of unless you’re familiar with the bovine industry, or have done a fair amount of research on milk. But there are actually distinct differences in the milk produced by various breeds of dairy cows. 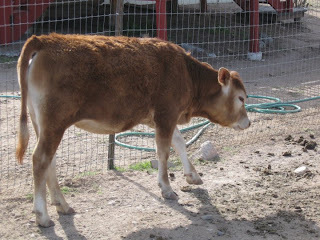 So-called A1 cows are “newer” breeds that experienced a mutation of a particular amino acid some 5,000 years ago, whereas A2 cows are the older breeds that do not have this mutation. The milk solids consist of a variety of proteins, lactose and other sugars. One of these proteins is called beta-casein, and this is the protein of interest when comparing A1 and A2 milk. All proteins are long chains of amino acids. Beta casein is a chain of 229 amino acids. A2 cows produce this protein with a proline at number 67, whereas A1 cows have a mutated proline amino acid, which converts it to histidine. The proline in A2 milk has a strong bond to another small protein called BCM 7, which helps keep it from being released. Histidine (the mutated protein), on the other hand, only weakly holds on to BCM 7, so it is liberated in the GI tract of animals and humans who drink A1 cow milk. Now, BCM7 is a powerful opiate that can have a very detrimental impact on your body. As discussed in the article above, it is likely the cause of increased phlegm production in your digestive- and respiratory tract, which can worsen upper respiratory problems. This confirms previous findings, discussed in Keith Woodford’s book Devil in the Milk: Illness, Health and the Politics of A1 and A2 Milk. In it he writes that BCM 7 selectively binds to the epithelial cells in mucus membranes and stimulates mucus secretion. For those of you who want to investigate this at greater depth, betacasein.net offers a comprehensive list of published scientific studies of the differences between A1 and A2 milk and their health ramifications. You can also pick up a copy of Keith Woodford’s informative book, Devil in the Milk: Illness, Health and the Politics of A1 and A2 Milk. A1 cows include the black and white breeds like Holsteins and Friesians. Unfortunately, Holsteins are one of the most popular breeds in North America. The older breeds, such as Jersey’s, Guernsey, Asian and African are primarily A2’s. Goats and sheep also produce the healthier A2 type milk. “Our issue in America is that we have the wrong cows,” Dr. Cowan writes. “When you take A1 cow milk away, and stimulate our own endorphins instead of the toxic opiate of BCM 7, some amazing health benefits ensue. One saving grace, as expressed in The Devil in the Milk, is that the absorption of BCM 7 is much less in people with a healthy GI tract… BCM 7 is also not found in goat’s or sheep’s milk, so these types of milk might be better tolerated. … We now have one more thing to put on our activism to-do list. Dr. Woodford explains that it is fairly straightforward to switch a herd to become an all A2 herd. No genetic engineering is needed, no fancy tests, just one simple test of the beta-casein and it can be done. Naturally, getting America’s dairy farmers to start switching breeds would require a massive campaign, but in the meantime, just being aware of this inherent difference between A1 and A2 milk can prove to be invaluable for many, especially if you have tried switching to raw milk and still experience problems with it. You may simply be drinking milk from an A1 breed… Switching to milk from an A2 breed could make a significant difference. This is also an important point for dairy farmers everywhere to at least consider, as A1 cattle may still not be producing the healthiest milk for human consumption, even when grass-fed. Depending on where you live, A2 milk may not be that hard to find. In fact, herds in much of Asia, Africa, and parts of Southern Europe still produce primarily A2 milk. If you live in the United States, New Zealand, Australia or other areas of Europe, however, you’ll need to look a bit harder since the majority of cattle in these areas are A1 breeds. Buying retail (in those states where raw milk sale is legal) would require just a little more work, since you’d have to get the contact information of the milk supplier and then call or write them to find out what breeds are used. Fortunately, grass-fed, raw milk almost always comes from small dairy farms that do not co-mingle their milk with milk from other farms, so this makes ensuring you’re buying A2 milk quite a bit easier. You can start you search for raw milk retailers in the US by going to the RealMilk web site. http://www.organicpastures.com/ also has a store locator for California. This entry was posted in Dairy Cows, Raw Milk on April 27, 2010 by Homesteader's Supply. A few years ago I had about 40 straw bales hanging around from a straw bale wall project that never did happen. I decided to build a series of raised beds with them for my garden. I set up beds that were 4 bales long and 1 bale wide – then filled the rectangle with compost that my cows and chickens had shared through out the previous year. I had the best crops out of any garden that year!!! I was going to do a similar set up this year until I did some research on straw bale raised beds and found many homesteaders actually growing their veggies in the bales themselves rather than using the bales to hold the dirt in place! A blog called the Gardner’s Rake has a great article on how to prep the bales to become a growing medium for wonderful cro ps! 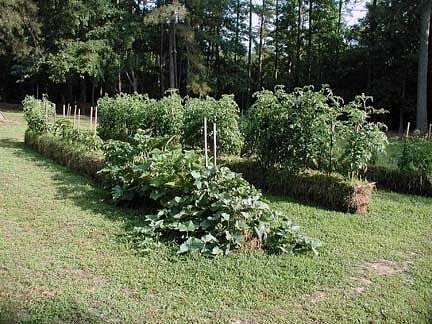 The picture to the right I found on Google to see how plants looked growing from straw bales. Apparently, by soaking the bales, adding a compost tea (which I’ll share the steps for when I do it) and then cutting a small planting hole in the bale to add small amounts of soil for a growing medium… add the plant and get ready to harvest!!! I’ll take pictures and post as I progress, sharing with you the success and failures in the project! This entry was posted in Gardening, Straw Bale Gardening on April 26, 2010 by Homesteader's Supply. Have you ever made fresh cheddar cheese??? Fresh cheese, made from raw cow’s milk is about one of my all time favorite foods. I like to take the curds from a cheddar cheese recipe, stir in a couple of tablespoons of crushed red pepper and once aged a bit – it makes the BEST cheese crisps you’ve ever eaten!!! Homesteader’s Supply has put together a few products that will enable you to make your favorite variety of cheese. When added together, it’s over a $30.00 value of savings! In addition to the amazing book of cheese recipes – you can see the recipes for Cheddar, Colby and cultured butter on our website! Here is a cheese making kit for the serious beginner, or the experienced cheese maker. It includes all the cheese making products you will need to make a superb cheese from the soft like Cream cheese, Sour cream, Quark, Cottage cheese, Fromage blanc, Chevre frais, St-Maure, Valencay, and even Cultured butter, to semi-soft like Brick, Jack, Farmers, Limburger, Camembert, Brie, Blue cheese, Gouda, Edam, Havarti , to the hard cheeses like Mozarella, Parmesan, Romano,Provolone, Emmenthaler, Gruyere, and Swiss. We have even included the wax for aging your cheese. Most important because cheese making really is a science as well as a culinary art is the best book. At Homesteader’s Supply we have used many of the books, but this one is great by far for an all around how-to, and why, and trouble-shooting. 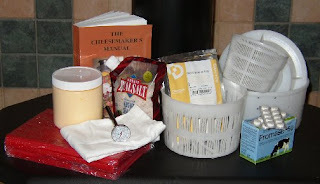 This entry was posted in Cheese Making on April 19, 2010 by Homesteader's Supply. It will be canning time before you know it! Pressure canning, the only method recommended safe by the U.S.D.A. for canning low-acid foods, allows you to preserve meats, vegetables, and fruits. Presto pressure canners feature an easy-to-read dial gauge for accurate pressure control and extra strong, warp-resistant aluminum construction. The air vent/cover lock allows pressure to build only when the cover is closed properly and prevents the cover from opening until pressure is safely reduced. Includes cooking/canning rack and complete instruction/recipe book. 22-Quart Liquid Capacity (20.9 Liters). Regular Mason Jar Capacity: 24 half pint jars, 20 one pint jars, or 7 one quart jars. This versatile canner / pressure cooker is a perfect addition to any kitchen. I had an enamel sealed canner for years that chipped and cracked… rusted. I bought one of these canners last year and don’t know why I didn’t do it sooner. Now I don’t need a water bath pot and a pressure cooker… this pot is large enough for both – saving me precious shelf space! It heats evenly and can be used year around for large stock soups, pasta sauce and so much more!!! Check them out in the store!!!! This entry was posted in Canning on April 15, 2010 by Homesteader's Supply.